FEATURES:THIS LAPTOP CASE IS COMPATIBLE FOR 15 15.6 inches LAPTOPS. 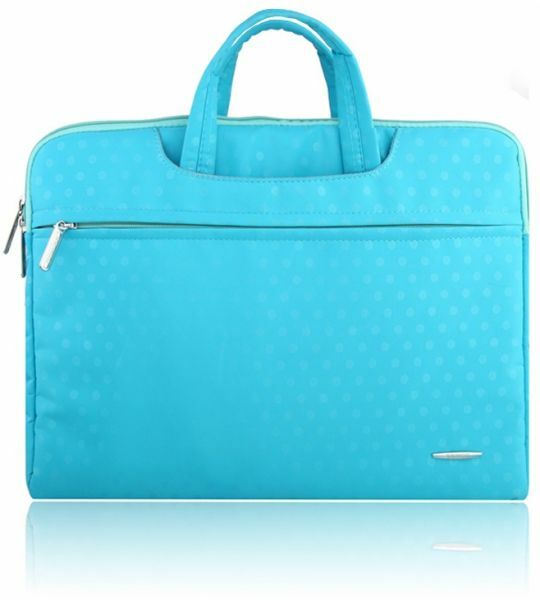 ITS GREAT FOR CARRYING AROUND YOUR LAPTOP WITH YOU AND IT ALSO HAS SPACE TO CARRY YOUR ACCESSORIES AND DOCUMENTS WITH YOU TOO.THE CASE HAS HANDLES WHICH CAN BE TUCKED INTO THE CASES SIDE POCKETS WHEN NOT BEING USED.IDEAL FOR CARRYING YOUR LAPTOP AROUND WITH YOU AND KEEPING IT PROTECTED FROM ANY BUMPS OR KNOCKS. THIS LAPTOP CASE IS COMPATIBLE FOR 15 15.6 inches LAPTOPS. ITS GREAT FOR CARRYING AROUND YOUR LAPTOP WITH YOU AND IT ALSO HAS SPACE TO CARRY YOUR ACCESSORIES AND DOCUMENTS WITH YOU TOO.